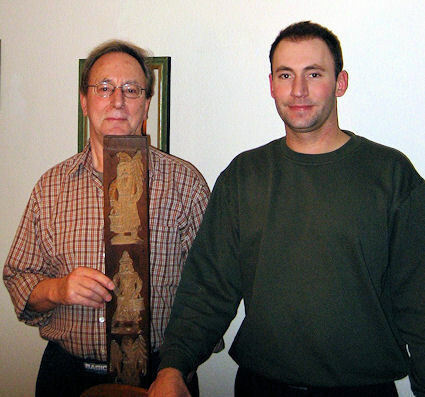 Robert Schreiber and his son Christian with the speculaas mold. 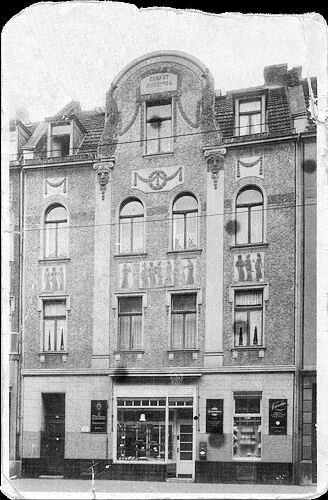 My grandfather from my father's side - Karl Schreiber - owned between 1904 and 1944 a bakery and a pastry shop in his own house in Köln-Sulz, a suburban of Köln (Cologne). The figures on the front of the board are of an Angel, Nikolaus and Russian Santa. On the back side the images are of animals in round ornamentations. The mold measures 27 1/2" x 3 7/8" x 7/8". 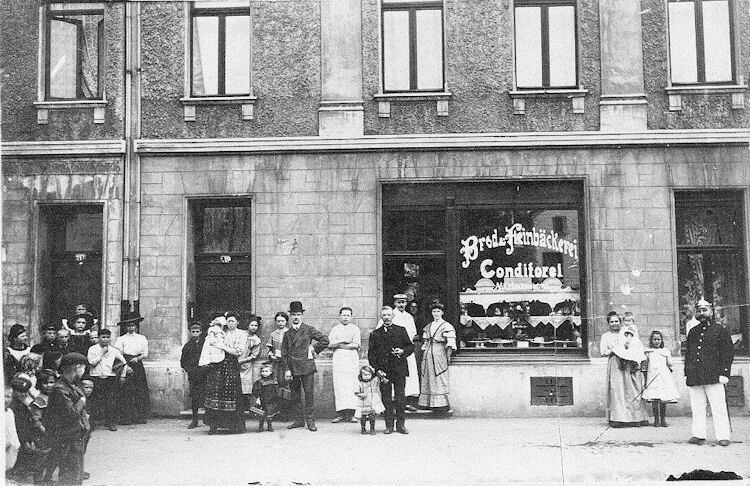 This 1915 picture shows my great-grandfather with mustache and cap beside his young pregnant wife standing in the entrance to the bakery. Because my great-grandfather was a well respected business man, neighbors and customers came to watch the spectacle of picture taking. On the Glass of the window stood: Brod & Feinbäckerei, Conditorei. In this 1933 photo you can see my great- grandfather (in the middle of the foto), on the right side was my grandfather and on the left the brother of my grandfather. 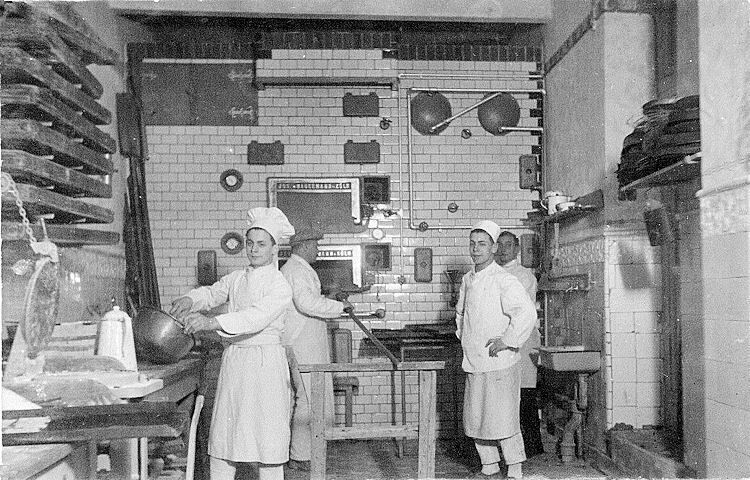 Both were trainees and very young and were taught to be bakers in the bakery of my great-grandfather. A few years later they had to go to World War II. My grandfather came back after he had been a prisoner in Russia for a few years. During that time my father was born. My father wasn´t a baker, nor am I. He and I both work here in Cologne. This picture from 1933 shows the newly changed appearance of the business.